The qualifiers of the event will be played on Saturday and Sunday while the main draw is from October 29 to November 4. 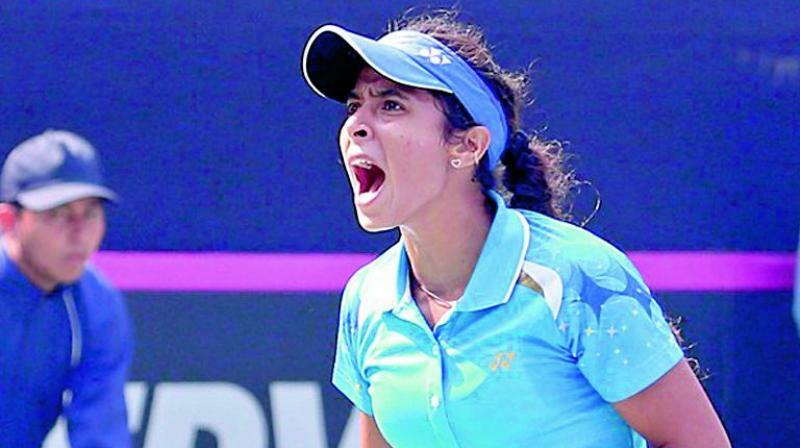 Mumbai: Ankita Raina has received a direct entry into main round of the second edition of WTA Mumbai Open $125k Series. She had received a wild card last year and made her way into quarterfinals. Her under 200 WTA ranking (195) made her last entrant into the main draw. The qualifiers of the event will be played on Saturday and Sunday while the main draw is from October 29 to November 4. Ankita, who had raking of 293 before keeping Indian challenge alive by storming into quarters last year with a spirited display, has climbed the rankings swiftly. She won the bronze medal at the Asian Games in Jakarta in August. World ranked 47 from China, Zheng Saisai, who won her last WTA title in April, will lead a field of leading players from 19 at Cricket Club of India tennis courts here. The 24-year-old entered into the tournament as Worl No. 57 but has moved ten places ahead of the event.